Vikki's family own a riding school, so she was brought up around horses, first being sat on a small pony called Bonnie at 9 months old. 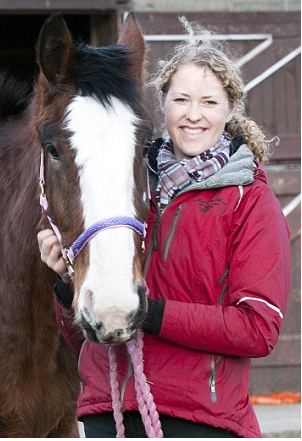 By 18 years old, Vikki was a qualified riding instructor having passed her BHS Stage 3 and PT exam. She worked in the family riding school up until she started university in 2005. She studied Veterinary medicine at the Royal Veterinary College in London. During this time she worked part time as a Riding Instuctor at one of Londons largest riding schools, to pay her way through university and to keep her horse Midas down there with her. Qualifying in 2010, Vikki went straight into Large animal veterinary practice with Andrew Melling LTD, specialising in the equine side. Here she developed a keen interest in dentistry and quickly took over the majority of the practice's dental work. Vikki has 3 horses herself, a Shire called Hope, a Welsh D called Boo and a KWPN called Icarus. She enjoys dressage and ridden showing in her free time.